In key stage 1, reading builds on work completed in the Early Years Foundation Stage (EYFS). As in the EYFS, children are taught to read by applying phonics skills and knowledge to decode words. This is taught in daily phonics lessons. Our teachers follow the DFE Letters and Sounds programme. We want our children to develop a love for reading from an early age. Children enjoy daily independent reading for 30 minutes in small groups (no more than 6) matched to their independent reading level, led by a trained adult. 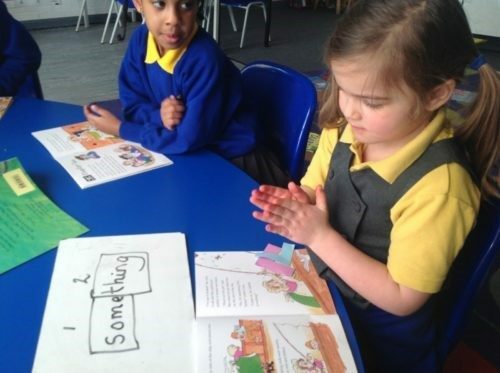 Children use their reading tool box to help them when they are finding a word tricky. they can clap out how many syllables a word has. They can also use their ‘Find it, frame it’ pieces to focus better on a word or a sentence. 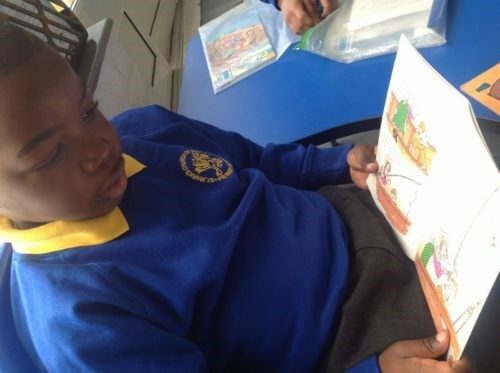 This classroom programme helps to move all children on in their reading. 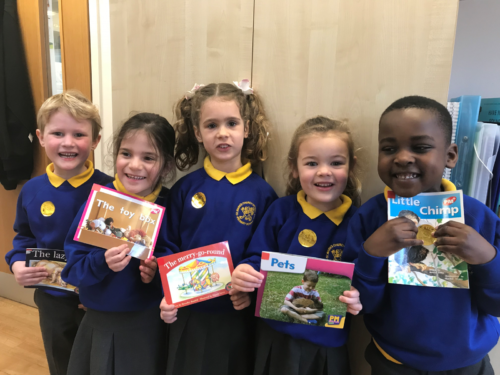 It is delivered initially to Year 1, then introduced into Reception and for the lowest attaining children in Year 2 for maximum impact across the school. It helps children make accelerated progress by working in a coherent and systematic way. Every year group also have a text linked in with their literacy planning. Each class will cover 10 books throughout the academic year. Reading in the older year groups across phase 2 is more flexible. Guided reading in small groups and whole class shared reading happens throughout the week. All children use books to develop vocabulary and comprehension skills across all curriculum areas; we make sure that the reading material we use links to topic units, to ensure our children understand that reading helps them to acquire knowledge. help to develop these comprehension skills.